Motorsport star Lewis Hamilton is on a mission: between races, he rescues stolen works of art from around the world! Now it just got personal. 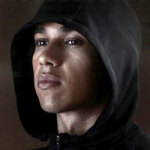 Help Lewis pull off the Abu Dhabi heist and recover his favourite trophy!